From Bootstraps to Bubble-wrap… Where Will We Go From Here? Home / Articles / Columnists / On the Bright Side / From Bootstraps to Bubble-wrap… Where Will We Go From Here? Grit, resilience and rugged individualism are components of our collective American identity. We are warned that replacing “picking ourselves up by our bootstraps” with participation trophies and helicopter parenting has robbed this generation of the skills needed to succeed in a “dog eat dog” world. To an extent that may be true. But is that the kind of world we necessarily want to live in? Can’t humans evolve from this Darwinian way of relating to one where allowing ourselves to be helped by others in times of weakness is a strength that propels all of us to a brighter future? An eternal optimist at best, and a bit “Pollyanna” at worst, I realize this thesis leaves me open to criticism from those who will accurately point out the historical evidence to the contrary. Evidence to the tune of about the past, say… forever years. But I love to imagine the possibilities of a compassionate, tolerant, nay, accepting, freefrom-fear civilization where mutual respect for our differences transcends our outdated defensive, competitive one. Right now this debate is being played out on college campuses all over America. A recent Los Angeles Times editorial titled “Enough of the Bubble-Wrapped College Student” lamented the snowflakeesque fragility of some students on college campuses today. I think people are too quick to jump to one side of the argument or the other. On one hand, as an educator, I do not agree with changing curricula to accommodate sensitive subjects. I believe the subject matter needs to be left up to the professors and the decision to participate left up to students . I couldn’t have a biology minor because I wouldn’t dissect a cat. That made me uncomfortable. And some could argue it is against their religion. But there is a need for that education as well, thus it is my option to choose a different path. I would apply this across the gamut from religion to literature and especially to history. On the other hand, I also understand the spotlight on “microaggressions,” a term used to explain how marginalized groups are impacted by comments or actions done, often times unconsciously, by majority populations (such as locking your door when you see a person of color, or greeting a woman by looking at her chest instead of her eyes). College campuses above all other spaces should be a free marketplace where ideas are debated, parsed apart and where all students feel safe to share information, gain perspective and develop self-awareness so they can go forth and rise to their full potential. If “safe spaces” are helpful for some students to feel free enough to participate, then so be it. 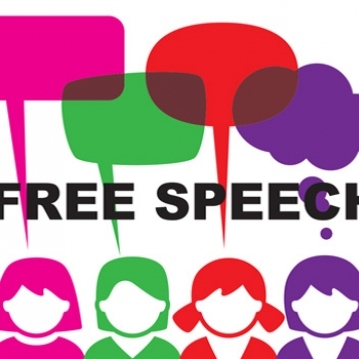 With that said, some are arguing that free speech is being censured when what they have to say is offensive or even hateful to other groups of people. 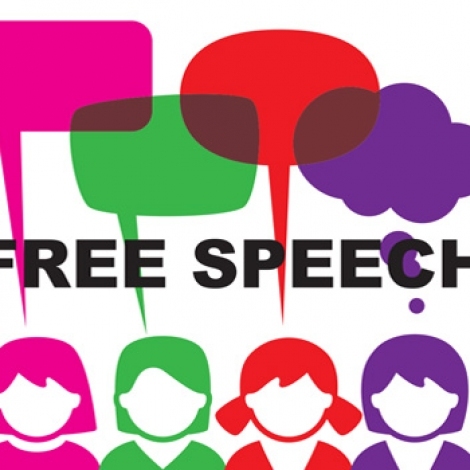 It is true, we have demonstrated that free speech in this country has been almost absolute (short of the age-old yelling “Fire!” in a crowded movie theater example). As provocateurs push the envelope, college campuses have become the Petri dish for how this will all shake out as we move forward. When pendulums swing too far in either direction the balance is off. Both sides have their merit. Free speech is part of what it means to be an American. And liberty and justice for ALL is also what it means to be an American. Grit, resilience, and maybe helping someone else adjust their bootstraps once in a while might be a way for us to meet in the middle.